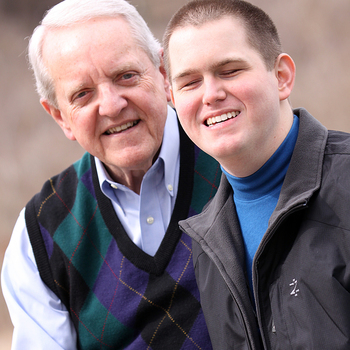 According to medical science, HK Derryberry should never have survived. Born July 8, 1990 in Nashville, Tennessee, this two-pound baby boy arrived three months premature due to a single-car crash that took his mother's life. 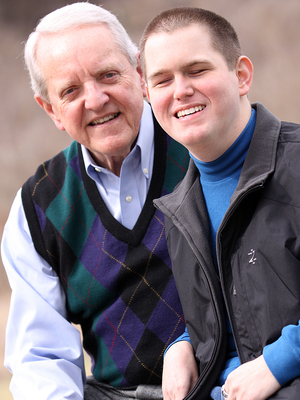 Because of the accident and his premature birth, he was born blind, with cerebral palsy and countless other medical problems. HK lit up the arena when he walked on stage—one of the most talked-about speakers we’ve ever had! HK’s message is heart-wrenching but inspirational—worth hearing at least twice. Jim and HK’s presentation was one of the most memorable components of the entire annual conference and we look forward to continuing our partnership with him in future years. 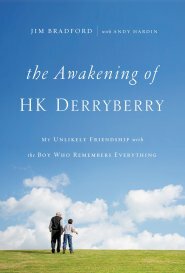 What a beautiful story and friendship Jim and HK have cerated. This is what life is all about. Our service providers fell in love with HK...and why not, he told all of the women they did not look a day over 18! Our team members laughed, cried and applauded during their uplifting and highly motivational presentation. If you have not heard HK and Jim, you need to!